Happy Friday! We’re one week into December, the tree is up, I’ve finally started my holiday shopping and my calendar is packed with work and personal events. I find that it’s so important to take time to recharge during this time of the year, making sure not to get burned out. I try to schedule time on Sunday's to restore and get ready for the new week ahead. It’s no secret that Monday is my favorite day of the week, just as long as I’ve had time to get my life in order on Sunday! I’d love to hear your tips for staying balanced during the holiday season, drop them in the comments on FB or IG! 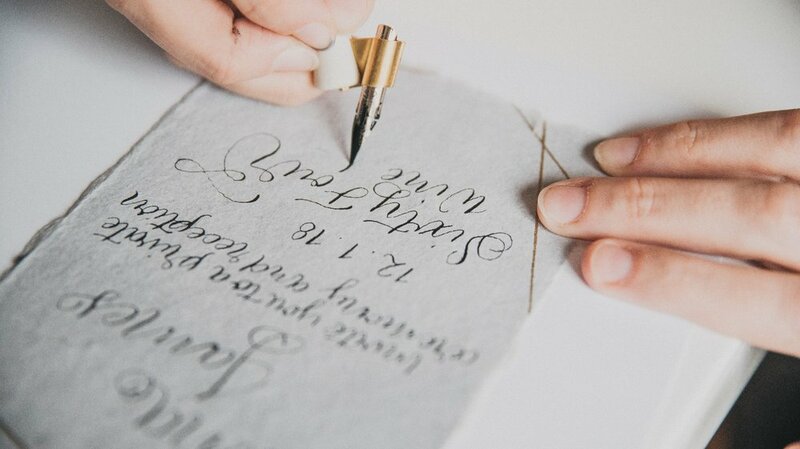 This week, I introduce you to Jess, a self taught calligrapher from The Letter J Creates. Jess has mastered work life balance as a mom of two little ones, Zoey (4) and Zack (2), while running her calligraphy business. 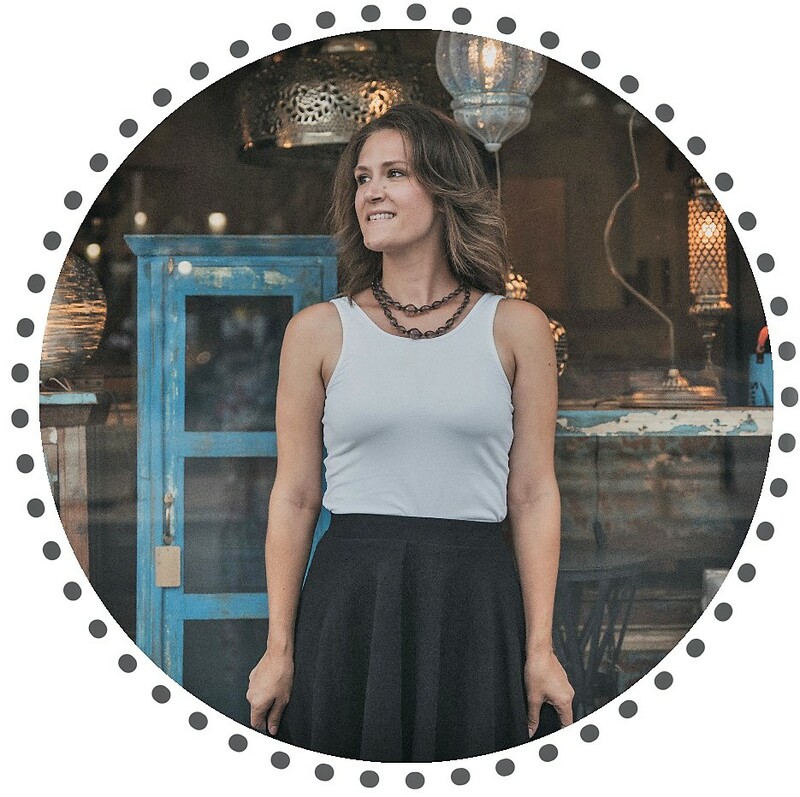 She’s also a Honeybook Educator, Wildflower Art Studio Ambassador, and co-founder of Naperville Weddings. I hope you enjoy getting the know more about Jess and The Letter J Creates. Please follow her on social media and leave us a comment. Want to be featured on Colorful Creatives? If you or someone you know is a creative entrepreneur in Chicago, living their best life and wants to share their journey, email me at Sarah@SarahJacquelynInteriors.com. Shoot me an email just to say hello too! I love connecting with new people. 1. How did you get started doing calligraphy? 2. Did you always know you wanted to be an entrepreneur? Not at all. I have always wanted to be a stay at home mom. Now I am both and it’s perfect. 3. What are some of the biggest challenges you’ve had to overcome with owning your own business? Finding clients who value real art and the simplicity in things. There are so many mass produced art pieces. That is so disappointing to me, because I find that one of a kind art is so much more valuable. 4. What is your favorite & least favorite “hat” to wear as a business owner? My little ones keep me going. They have a tremendous amount of energy so when I try to work at night, it can be difficult, but it’s all worth it. To me, I have everything I wanted. I have a beautiful family and get to work as an artist. It’s so free and exciting, being my own boss. Nature usually. I do wander the internet looking for quotes/writing prompts from time to time. 8. How do you start your Monday? 9. What are some colors you are connecting with right now? All the shades of fall. Until it’s too late. I have reviewed a few pens/markers that have my favorite fall colors. Blues will be next! 10. What are some of your favorite textures/ materials to work with? I adore watercolor and acrylic paint. They are so different, but fun to play with. I think they add quite a bit to my calligraphy. 11. What is something you could not live without? 12. If you could travel anywhere in the world for inspiration, where would it be and why? 13. What’s your favorite part of December? Holiday spirit and shopping. I do love the minimalist lifestyle, but find it hard during this time. I absolutely love all of the festivities and food with family! 14. What’s your favorite thing to do in Chicago? Just walk and take pictures. It’s so beautiful. 15. Any inspirational books you recommend? Sarah Jacquelyn Interiors is a full service interior design firm in Chicago, IL. We believe that design can impact lives and promote well being within the home. We work with your family, budget and desired lifestyle to provide a home that is uniquely yours. Contact us today to learn more about how we can help make your dream home a reality. Get the latest design insights!